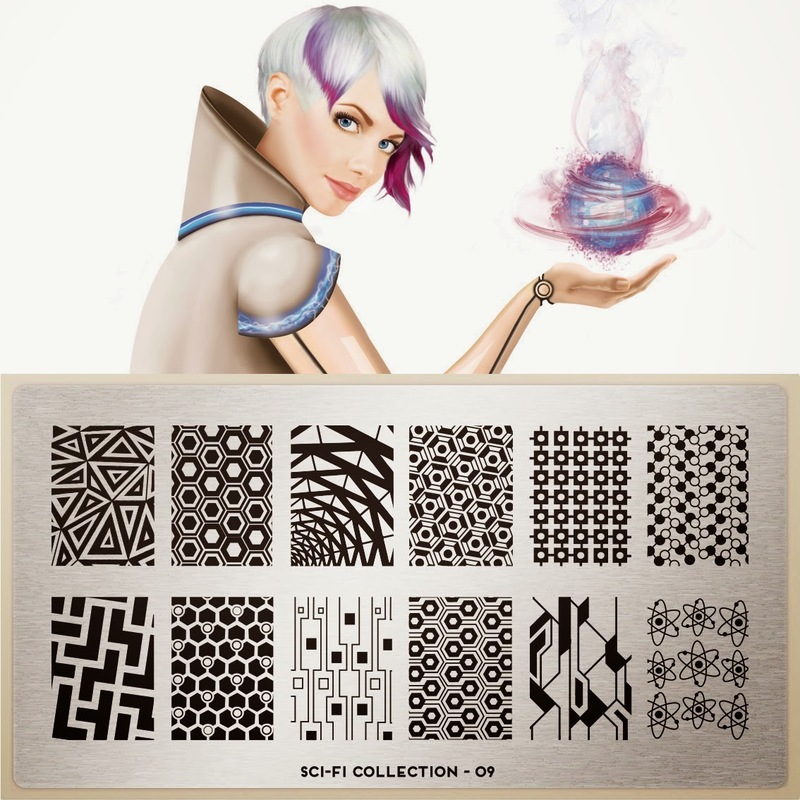 Lacquer Lockdown: Hot Off The Stamping Press: MoYou London Sailor Collection & Sci-Fi Collection Expansion! 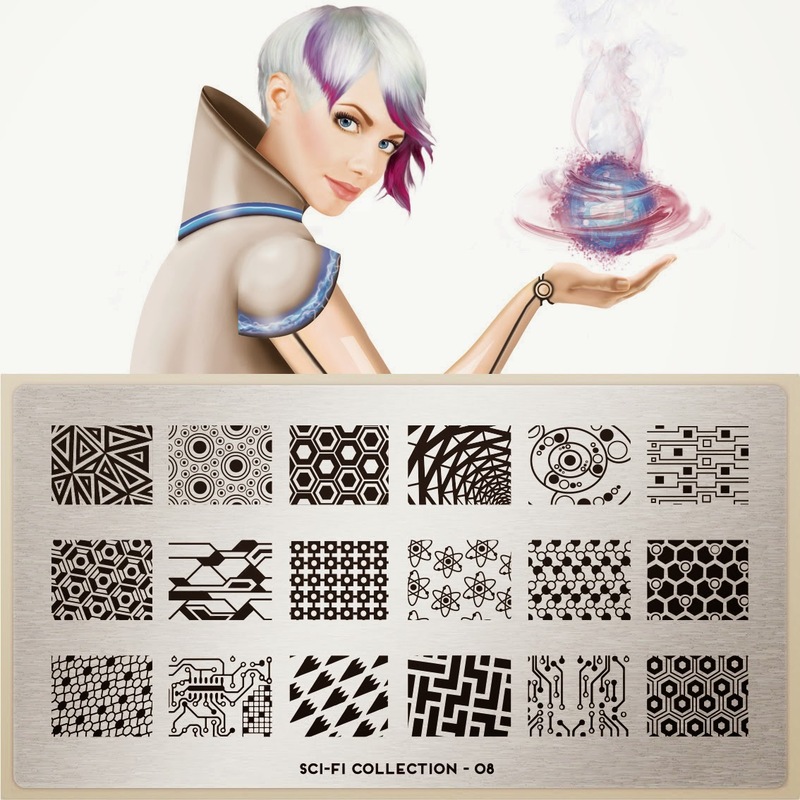 Hot Off The Stamping Press: MoYou London Sailor Collection & Sci-Fi Collection Expansion! This time I'm just going to get right into it. MoYou London is all set to release 4 new plates this week in a mashup they are calling Sailor vs Sci-Fi. I got excited for a second because I thought it was really going to be be a true mashup of the themes across plates i.e. something like aliens underwater, something Sphere-quese, a bizarre horror sci fi combo? Ok. Let me pause because even as I write that I know there are very few ladies that would actually enjoy this kind of thing on their nails. I am a weird and crazy exception. Oh well I love horror movies and sci-fi these things can't be helped. 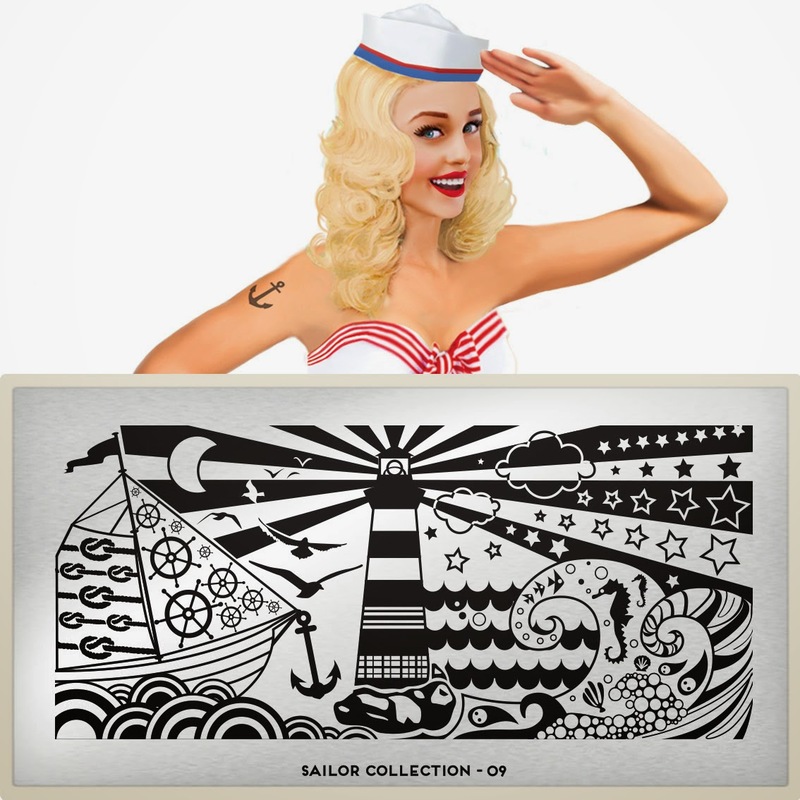 Nevertheless I was very intrigued by this concept of putting together a collection I have always loved, the Sailor Collection, with one I have been at times overly conflicted about, The Sci-Fi Collection. So let's see what MoYou came up with. What's she's got animated gif's now too? Lol let me stop this is how MoYou announced the mashup. I do think it looks cool though! Stellar stellar plate! 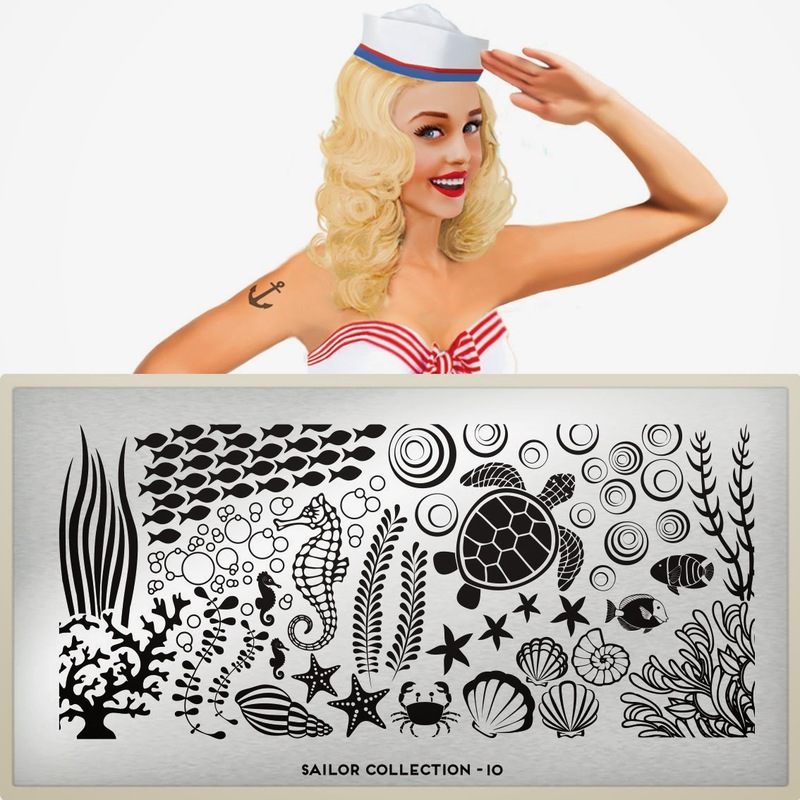 Has there ever been a time when I didn't love anything from the Sailor Collection? The answer is no. I want this one quite badly. I hope they make a smaller version too with the light tower! I have a lot of plates like this right now. I mean the underwater theme plates. I love them all! Every single one is unique and this one is no exception. I will note though I think the turtle is a touch on the over large size to fit nicely into a scene. Sci-fi plates have left me once again with a mixed sentiment. For one I think it's nearly impossible to compare the "landscape/scenic/infinity" plates to the individual image ones. The landscape ones nearly always win because they are cohesive. As this is a smaller nails plate too I don't feel as excited. I like the bottom row 3rd image from the left and the top row 4th image from the left. The rest I'm kinda meh about. They included the top image that I loved on the other plate and added molecules. I like those images while the rest are the same as the above plate and aren't necessarily my cup of tea.